1.3 Who can download iimcat.ac.in CAT 2018 Admit Card? 1.4 Information Furnished on the Admit Card of CAT? 1.6 How to Download CAT Exam Hall Ticket 2018? CAT Admit Card 2018 is available soon to download. The Indian Institute of Management (IIM) will issue the CAT Exam Admit Card 2018 @ iimcat.ac.in. Those who applied for the Common Admission Test 2018-19 can download the admit card online. Therefore candidates can check the complete details of CAT 2018 Admit Card from this Article. The Indian Institute of Management is going to issue the CAT Admit Card 2018 at their Official site iimcat.ac.in. All the applicants of Common Admission Test 2018 have searched many sites for the Admit Card. For those candidates, here is the good news about CAT 2018 Admit Card. Now all the applicants can download the Admit Card of CAT Exam through online. No other mode of getting Admit card is available here. The officials will generate the IIM CAT Exam Admit Card for those candidates whose application is accepted by the exam authority i.e., IIM. Officials will not send Hall Ticket to any registered candidates through online. The Admit card is a mandatory document to be carried to the examination centre. If the applicant should not carry the IIM CAT Admit Card to the exam centre, those aspirants are not allowed to sit in the exam hall. The Expected date of releasing the CAT Hall Ticket is in the month of October 2018. Therefore, candidates can get the complete details of Common Admission Test like CAT Exam Hall ticket, Exam Dates, How to download admit card, and general instructions from this Article. For more details, go to the official Site iimcat.ac.in and check detailed information. Common Admission Test (CAT) is a National Level Management Entrance Exam. This Exam was conducted by the Indian Institute of Management to offer admissions into various Management courses across India. And 20 IIMs and top B-schools all over India will accept the CAT Score. Every year, lakhs of people will participate in the Examination to complete their post graduation in the Business Administration. Who can download iimcat.ac.in CAT 2018 Admit Card? Candidates who registered for the Common Admission Test by paying the Application Fee before the last date are eligible to download the IIM CAT Hall Ticket 2018. For those aspirants only, the authority will generate the Admit Card. Therefore only eligible applicants should download the Admit Card of Common Admission Test. It is an important document which is an entry pass to sit in the Exam Hall. Therefore applicants must bring the CAT Exam Admit Card to the exam centre. Here, we have provided the direct link to download the Hall Ticket. Hence read the entire article and download the CAT Admit Card 2018 from the link attached at the end of the Page. Information Furnished on the Admit Card of CAT? The most important details in the CAT 2018 Hall Ticket is Exam Date, Slot, and Venue of the Examination. Apart from this, the basic information of the applicant is also mentioned in the CAT Admit Card. The following are the details provided in the Exam Hall Ticket. Registration Number and User ID. Category of the candidate – General, PWD/ DA. Date of the exam and day. Hall Ticket Number/ Registration Number. Those who applied for the Common Admission Test can download the CAT MBA Admit Card 2018 from the direct link attached below. It is mandatory to bring the Hall Ticket for the Examination. Therefore students should download the CAT 2018 Admit Card and keep safe until the admission process is completed. Aspirants may be asked to submit the Admit Card of Common Admission Test at the time of Admission process. So here we provided the Steps to download the CAT MBA Entrance Exam Admit Card. Students are suggested to check the below Steps and download the Hall Ticket by following them. How to Download CAT Exam Hall Ticket 2018? Visit the Official Site of IIM CAT 2018 i.e., iimcat.ac.in or direct link attached below. Find the IIM Common Admission Test Admit Card Download Link and click on it. After Entering the details, click on “Login” button. Now Admit Card display on the Screen. 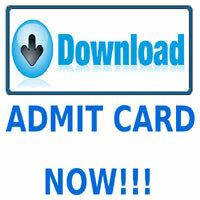 Download the CAT Exam Admit Card in pdf and take a printout. The IIM Common Admission Test Admit Card will be available at the Official Site iimcat.ac.in. And applicants can also click on the downloading link of CAT Admit Card 2018 which is attached below. Then within a few seconds, aspirants can download the Hall Ticket. For more details, candidates can visit our site www.entranceexams.io regularly. From our Site, you can get complete information like Syllabus, Exam Pattern, Previous Papers, cut off, Counselling process etc. So stay tuned to our site for more details about the Common Admission Test of MBA Entrance Exam 2018.